Daughters: You Won't Get What You Want - sol. ref. It begins with the sound of firing squads and ends with an arrangement of synths lifted straight from an ‘80s horror film. What happens in the minutes between is a question of how empty you thought the glass was to begin with. 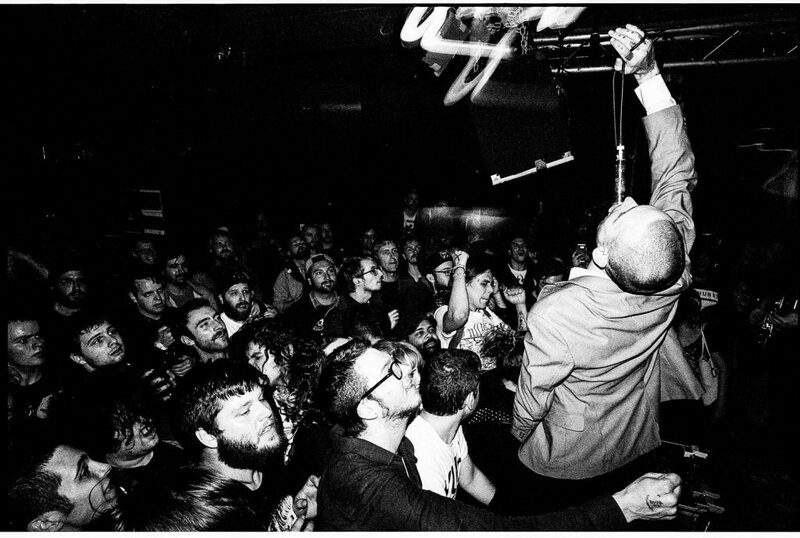 Confronting the grotesque has long been a centrepiece of Daughters’ music. 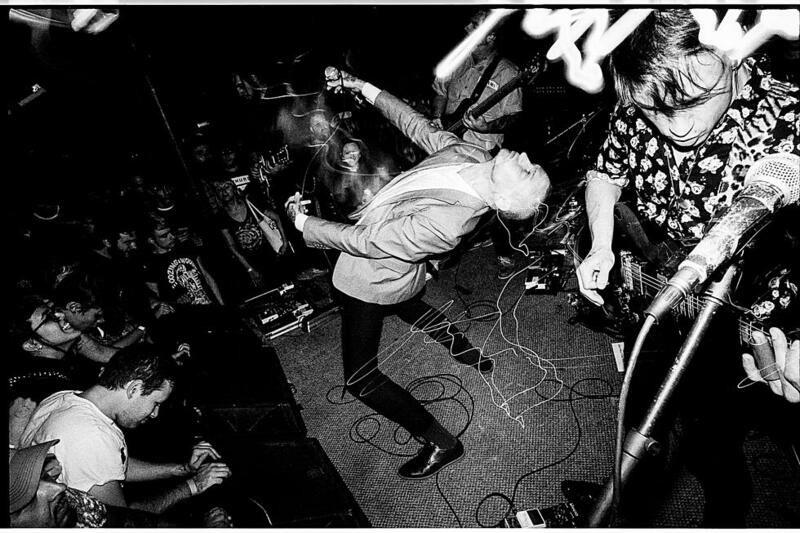 Since the release of their sophomore album, Hell Songs, in 2006, the band’s belligerent, discordant music has exhibited an explicit desire to make you, the listener, uncomfortable, providing just enough melody to deny you the get-out of claiming there was none, but burying it in layers of screeching, yelping and gnashing to make clear that those notes were never for your enjoyment. Over the top of this, Alexis Marshall’s sleazy vocals and grim poetry referenced depravity, destruction and demise in evermore lewd and unsettling ways. In the stories Marshall tells, if salvation is out there, it’s never far from damnation, nor innocence from guilt. And with guilt comes condemnation. Feathers. Tar. 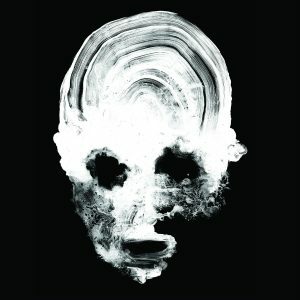 After an 8-year silence that followed the release of their eponymous third album in 2010 (save for a handful of live performances here and there), Daughters have returned with a new record. Its title encapsulates the cardinal rule they lay down for first-time listeners: You Won’t Get What You Want. At 49 minutes long, it’s only 20 minutes short of the band’s entire recorded output until this point. That fact alone suggests yet another change in direction for the band that started out in grindcore, delved even further into noise, and somehow ended up as art-rock with heavy emphasis on the rock. Starting the album with thumping electronic kicks and metronomic snares compressed into gunshots, that sonic shift is immediately evident. Over low-pitched, droning synths, Marshall declares, ‘This city is an empty glass, words are nothing, and no one sleeps.’ Four and a half minutes later, the song erupts into cacophony; wailing guitars and hammering drums suffocate Marshall’s exhausted speech and the sound of agonising yelps cry out from elsewhere in the void. Daughters are back. The music has evolved. The agony is the same. Over the 9 tracks that follow, different tones and timbres wrap themselves around that same rotten core. But where Daughters once took pleasure in throwing you against a brick wall, now they refuse to let you off that easily. For the most part, the songs are characterised by singular lumbering, repetitive riffs that hold you like a spider circling the drain. As you spiral around, stabbing synths reminiscent of a John Carpenter film remind you that the end is never far away, however long the ride might feel. It’s this sense of never-ending that differentiates You Won’t Get What You Want from Daughters’ previous work. That feeling of being caught in an explosion has been replaced by Godot-esque eternity; the dread that the worst is yet to come. Or worse still, that maybe it never will. At the halfway mark, the song falls back into a quiet interval, before exploding into a new section. The marching bass remains, but the drums are replaced with tumbling toms and snares in half-time, and the guitars with a terrifying, monotonous drone. We are told, ‘There is an ocean beyond the waves.’ No matter what horror is unfolding at your feet, it pales in comparison to what’s over the horizon. It’s this which makes You Won’t Get What You Want so timely. We’re living in a time where things seem to keep getting worse. Every time it feels like we’ve hit rock bottom, the foundation falls through and we start falling again. Powerful forces are enacting their will across the globe and it seems like no amount of protest, shouting or collective action will sway them from their path. As Marshall says in “Long Road, No Turns”, ‘These are just the words to somebody else’s song.’ We are left screaming into a void, ever spiralling, but never mercifully sucked down into the sewers below. Who put a padlock on the cellar door? I’ve been knocking. Let me in! It’s Beckett’s Endgame in reverse. Rather than being trapped in a house, unable to leave, he has travelled from the void, seeking whatever is locked behind a single cellar door. A morbid desire to plunge into the dark. Anything could be beyond that point, but it’s the not knowing that eats you up inside. And isn’t that a crisis that many of us are experiencing right now? A desire to know, to process, to understand; one that leads us down a path that only becomes more painful the further we go, until eventually we feel like we’re caught in an ever-expanding final second before the end. A half second. Then a quarter. Then an eighth. Then a sixteenth. And so on, and so on, ad infinitum. The fear intensifies, but the end never comes. In times like these, perhaps the end really would be preferable to whatever’s coming next. But you won’t get what you want. If you enjoyed this piece, please consider donating here.